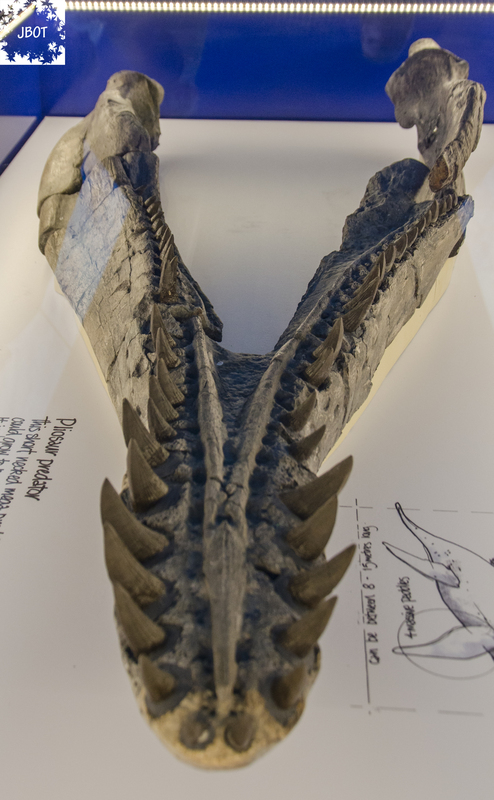 The Etches Collection, Kimmeridge Bay is home to the incredible fossil collection of Steve Etches. Local beach combing, fossil guru, Steve has spent 30+ years discovering everything the Kimmeridge coast has to offer. His collection now consists of over 2000 late Jurassic specimens. Steve’s story is pretty incredible, until recently his entire collection was housed in his garage and was gradually spilling into the rest of his home. 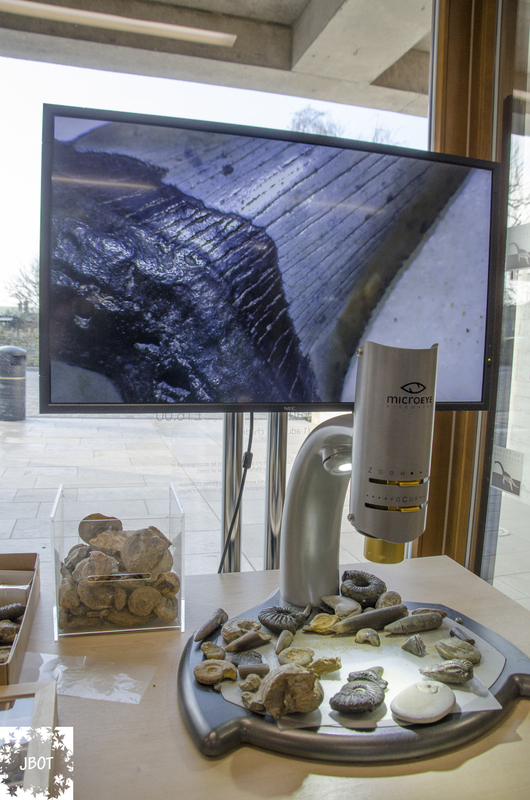 Thanks to private funding and a dedicated team of fossil-loving volunteers the Etches Collection is now a Charitable Trust. Safely re-homed in a beautiful, eco-friendly, wheelchair accessible new building. I visited along with the Open University Geological Society as Mum is a card carrying, rock collecting member. As part of a geological sciences weekend the OUGS were given a tour of the collection by Steve and then hit the beaches for some fossil hunting of their own. I tagged along and enjoyed the ride. Upon arrival you’re met with a lovely sleek building that somehow incorporates natural wood, glass and stone in a way that’s effortlessly classy but still gives off a nature vibe. The car park is hard packed gravel with a few dedicated blue badge bays. These are harder packed with smooth walkways so that you can make it down the hill without getting stuck. The entrance is smooth natural stone and features push button automatic doors next to the glass windows. There is an upstairs balcony overlooking the entrance. The Entrance way includes two doors in an airlock style, both have push button entry and are clear class with The Etches Collection Logo. Perfect to see through to the other side but not so clear as to let you walk into them! The inside is even smoother stone and is fantastic for wheeling around on. The whole area is well-lit and bright. The inside features plenty of open spaces. On the left as you enter there is a reception area complete with split level counters. This is next to the gift shop that sells everything from pencils to fossil jewellery and candle holders. 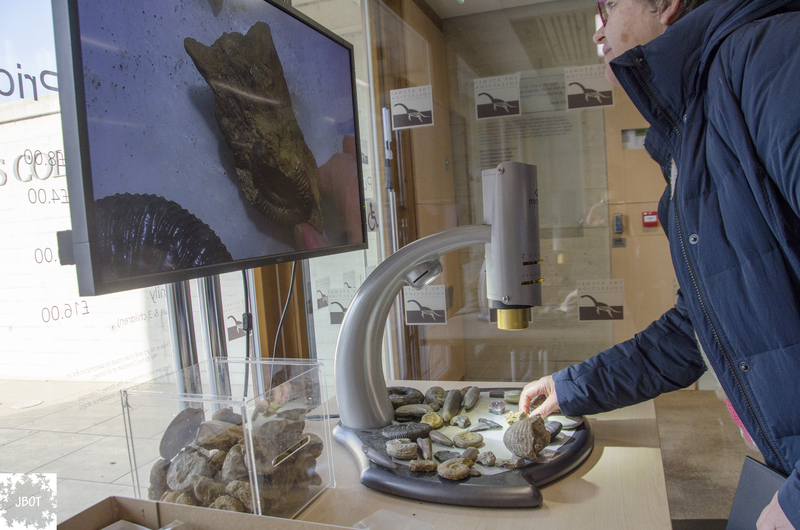 Alongside the front facing windows there is a really fancy video microscope and a tray of fossils, crystals and rocks. This is a creat chance to get hands on. As long as you’re careful you can handle any of the samples on the table and really get a feel for them. The microscope is not only a fun tool but a great opportunity to get a good look at the tiny details on fossil samples. It’s an awesome opportunity for visually impaired visitors since you can zoom right in and it’s brought up on a wide-screen as supposed to looking through the scope. There isn’t much information to tell you what you’re looking at but since the staff are mostly fossil enthusiasts I’m sure they’d be happy to tell you all about it. If you learn better by touch then it’s the perfect opportunity to do that too. Steve says he hates the ‘look but don’t touch’ policy many museums have and he encourages everyone to be hands on. There is a small table in the centre of the reception room which is covered in colouring activities, text books and information sheets. To the right of the entrance you come to a large meeting room and the door to the toilets. They have one accessible bathroom complete with drop down grab rails, It’s geared more towards wheelchair users than those who walk (with a lowered sink). The door opens inwards towards the loo but there is still plenty of space to turn a manual chair, electric chair users might have to do some maneuvering. The door opens smoothly and the lock and taps can be operated with one closed fist. They do lose one point for accessibility here though. If you take a look at the photo I’m sure you’ll spot the same thing as me. Tying up the red emergency pull cord is a real pet hate of mine, how is anyone supposed to reach if they’ve fallen on the floor? Besides the Pull cord I was very impressed. After visiting the facilities and playing with the microscope camera thing the group headed upstairs and I got to check out the lift. The lift is straight ahead as you enter the building, adjacent to the stairs. It’s a vertical platform lift with glass siding. You enter facing forwards and roll out the same way so there’s no need to turn around. It’s not my favourite type of lift since you have to be able to push the ‘up’ or ‘down’ button for as long as you’re in the lift. Stop pushing and the lift stops moving. Luckily it’s only a short trip upstairs. The doors lock and unlock automatically but don’t open on their own so you need to be able to pull the door open and hold it while entering the lift. If you’re going to struggle with this then I’m sure the staff will be happy to help. The upstairs is all warm wood paneling and full length windows. It’s really beautiful, light and welcoming. There is a large meeting room, balcony and a few poster boards with photos of fossils. There’s also a series of core samples from the local area. Upstairs also brings you to the main collection. Inside the collection gallery is one large room with glass cases wall to wall and two large tables in the centre. 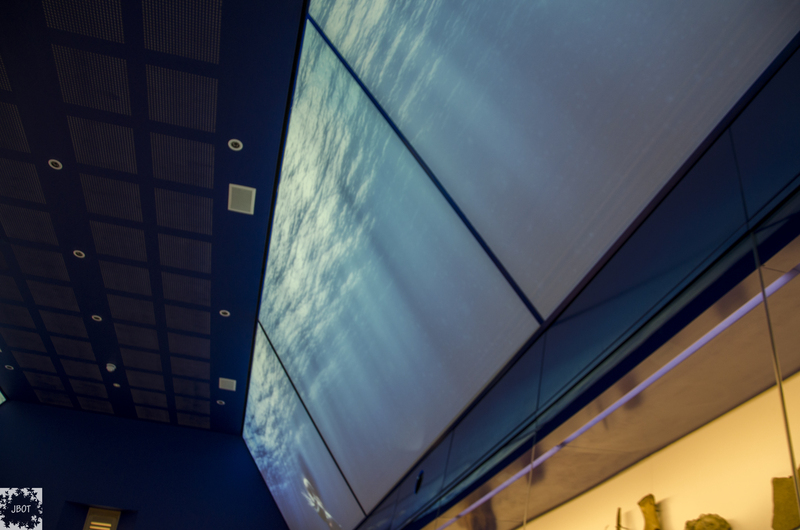 At the top of the walls are video screens playing underwater Jurassic scenes, these include ammonites, shoals of fish and predators taking down smaller critters. The whole room has an underwater vibe completes with watery sound track and blue lighting. It’s almost like being in a sensory room. If you’re there to enjoy the experience it’s fantastic and there is no way the kids can complain about this museum being boring. If you’re actually trying to learn about the fossils on the walls or take part in the touch screen quizzes the whole sensory element is a little overwhelming. When I mentioned this to Steve and the staff they were very supportive and interested in my comments. If you’re prone to sensory overload or sensitive to blue light then it’s worth speaking to them, there’s a good chance they’ll be able to adjust the settings during quiet periods to suit your needs. As you work your way around the collection you can see the amazing range of samples Steve has collected over the years. It’s hard to believe all of them came out of the same short stretch of coastland. Along one short wall of the gallery you can see directly into Steve’s workroom, here if you’re lucky you’ll be able to see him and the team cleaning and preparing all the amazing samples found along the coast. Inside the gallery, if you fancy a rest there are a few chairs to sit on, they can also be pulled up to the centre tables if you’d like to finish your colouring in from downstairs. The Etches Collection even offers free WiFi so you can pop your photos on Instagram as you go round. Make the most of their internet since there isn’t any in the rest of Kimmeridge! 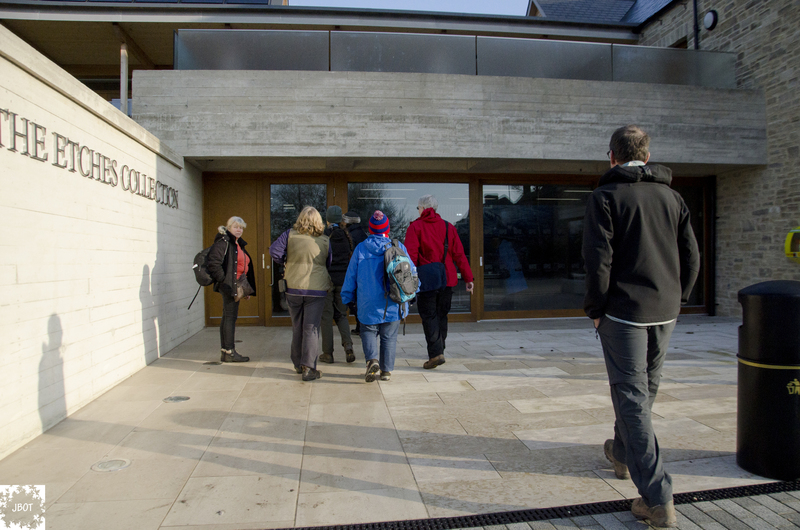 The Etches Collection is open every day 10am to 5pm. Entry is £8 for adults with family and child rates available. Tickets grant you entry for a whole year so you can come back as often as you like! To get in touch with the Etches Collection team you can either email info@theetchescollection.org, call 01929 270000 or visit them online. Hopefully this quick post has convinced you to go! If you’re still not convinced I’ve added more photos of the collection and the facilities to my Flickr page Etches Collection Album. As always questions and comments are welcome!